I would like to take a minute to introduce myself, my name is Angel Williamson. Master stylist and cosmetologist with over 10 years under my belt in the industry. 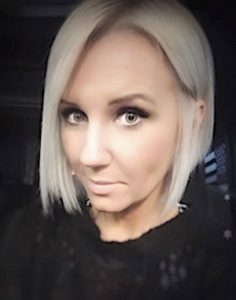 I have owned and operated a salon for many years, with my newest full service salon “ego studio” set to open in the Fort Gay area in April of 2019. My goal is for every person to feel beautiful inside and out – one step at a time whether it be hair, skin, nails, make-up or something as simple as throwing on some lashes to get that confidence up to get you through the day. Another of my goals is to bring top products to our area, educate on how to use them, and give all the knowledge I can with tips and tricks on styling, and maintaining that beautiful hair and skin we all have deep down but may not know how to bring the best of it out at times. Hello winter my long lost friend so we meet again. Not only do I find myself piling on extra clothes and pounds during these cold months, but I also find myself piling on the dry shampoo (as I’m sure some of you can relate). My go to dry shampoo is by the company “design.me”, and comes from their puff me line. It’s called “Quickie me”. Not only does it smell amazing, but it’s also great for giving lifeless hair that volume it so desperately needs. Not only that, who doesn’t like to go days without having to wash their hair, and it still smell, feel, and look amazing? With the weather getting colder your hair tends to think it needs to produce more oil to keep it from drying out, which it does but let’s face it, who wants lifeless greasy hair right? If that sentence pertains to you in any way, dry shampoo just became your new bff! Basically because it allows just enough oil your hair needs to stay healthy it also eliminates the excess oil it doesn’t need. So if you’re on the same struggle bus as I am myself when it comes to this situation feel free to email me, message me, find me on Facebook, join my group, whatever your preference so that I can get this liquid god in a can in your hands asap! 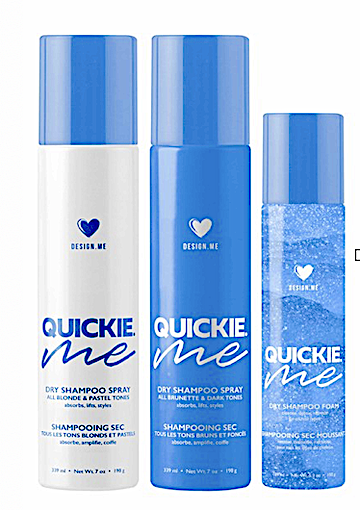 QuickieME is a dry shampoo spray with a unique rice starch formula that absorbs, lifts and styles hair without the need for water. It’s a fast, proven way to clean and refresh hair when there’s no time for a shower. I HIGHLY recommend Angel!! She has been my stylist for over 9 years. I recently moved away but continue to drive (over an hour) to receive her services. Why would I do this? The answer is easy: she’s worth it!!! Great article. Can’t wait to hear more for her. Angel is amazing ! My hair loves her !